The bearded dragon is amongst one of the most relaxed of pets to care for as they can be easily tamed and introduced into the home, making them great for all ages. However, if you have decided that you would like to breed your bearded dragon, the process isn’t that difficult, if you just follow a few pointers and offer the best environment to start. To start breeding your bearded dragon, you will need to understand a little about their mating habits beforehand. Bearded dragons that are in domestic captivity do not have a specific breeding season, when compared to their wilder relatives. Therefore, you can select a time that suits you best as their owner. Some people prefer to wait until the spring, but if you provide the right tank conditions mating can happen when you pair a male and female bearded dragon together whatever the time of year. Your decisions when to start should be guided by the right age of the dragon, the right conditions in the enclosure and, of course, the ability to cope with the aftercare of the many eggs that can be laid by a female bearded dragon. Ensure you can devote the time and energy to begin monitoring the mating process and continue with the breeding stages. Though it doesn’t have to be a costly procedure, it will need careful monitoring all the way through the experience, so try to plan a time whereby you can dedicate yourself to this. Once you have placed your two dragons together, there are a couple of traits of behaviour that may indicate that your dragons are showing an interest in one another and mating is about to take place. The male dragon’s ‘beard’ will begin to darken, indicating sexual maturity. He will also start bobbing his head and waving his front feet to gain the attention of the female dragon. At this stage, the male dragon will become much more agile and faster in his movement and resort to chasing the female dragon around the enclosure. If the female dragon is not ready, she will display signs such as scratching at the door or walls. Take a note from this and separate the pair, trying again in a week or so. If the female does accept the male, he may then proceed and bite the base of the female dragon’s back to position himself for mating. If successful, this is when breeding will take place. Before you place two dragons together, it is highly recommended that you have ensured that they have been checked over for good health by a veterinary expert. You should also ensure that both of your bearded dragons are at least 18 months old. This is considered the acceptable age and prevents any problems occurring with the female dragon such as a future fertile problem or even serious health problems requiring medical attention. In addition to this, try to place the female with a male bearded dragon who is of a similar size and weight. After a successful mating session, the female bearded dragon will usually lay her eggs around the four to six-week period. You will most likely notice the eggs developing as she appears fuller around her abdomen during this time. She may also refuse to eat as much as before and stop altogether nearer the laying time. Once you have witnessed a successful mating, remove the male dragon and allow the female to stay in her own enclosure with a lay box. It merely consists of a plastic box which is filled with either topsoil or potting soil, slightly moist, and placed in her enclosure at a slant. This is where she will dig and lay her eggs when she is ready. You may notice her pacing and then digging before she finally lays her eggs. The eggs laid are usually in sizeable groups called clutches and can often range from anything from the fifteen mark to as many as 35 eggs, or possibly more in total! However, it is entirely possible for a female bearded dragon to lay one to three clutches after a typical mating. It is now time to proceed with the reptile egg incubation process, which is somewhat different to the incubation of bird eggs. Purchasing, renting, or making a high-quality incubator. Removing the eggs from the enclosure carefully, as they will be extremely fragile at this stage – this is especially important if your dragon has laid them all over the place. Setting the eggs immediately into the incubator keeping it at a steady temperature throughout, around the 28 degrees Celsius mark, 84 degrees Fahrenheit. Placing the incubation in a room that is cooler than the temperature inside of the incubator. This will ensure that there’s no higher room temperature to raise the temperature inside of the nursery, which can potentially kill the eggs. Considering placing a dish with water into the incubator to maintain humidity levels and refill it when necessary. The hatching process can take up to around 72 days, with reptile eggs being the slower developers. However, once you see those first signs, do not move then instantly. Instead, allow the babies to move away and dry off. You can then carefully remove them and place them into their own vivarium, which should be all set up and ready to go. It goes without saying that the breeding process with bearded dragons should never be rushed and you should also ensure that both male and female are always healthy and content – before, during and after the mating stage. 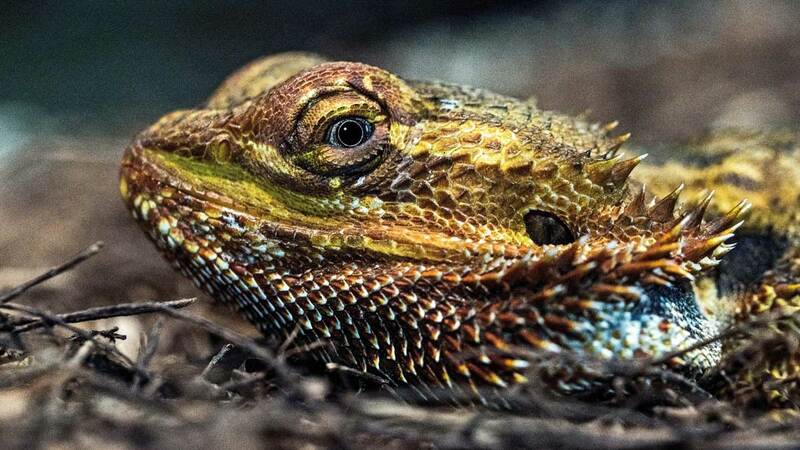 This advice refers to all types of bearded dragons whether you are looking to mate the same colours or are interested in breeding bearded dragon morphs. By preparing the enclosure to offer the most comfortable environment beforehand, you will ensure a more successful mating session and ultimately a healthier batch of eggs as a result. Kyle Jerez is a pet enthusiast, wildlife photographer and lover of all things wild who has a keen interest in conservation. 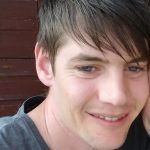 Pet ownership is a serious commitment in Kyle’s view, and as a pet owner, he makes it his duty to spread the awareness of the best practices of keeping pets, helping to ensure that pets across the world are treated with the respect they deserve.